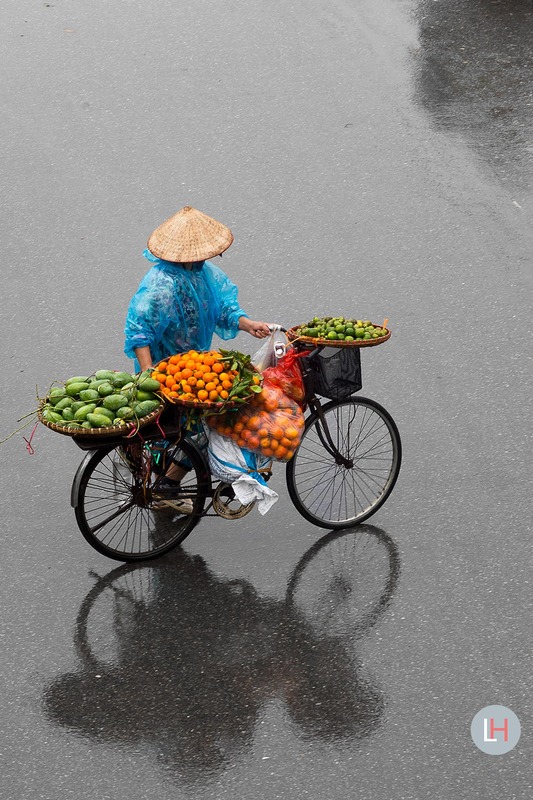 One of the twenty-one images available as wall art from the Merchants in Motion series. This image is called Y. This image is a little different than the others as you can see. It was taken on a very rainy day. Luckily sometimes during the day the rain would stop and the vendors would start walking again. Cause in the rain they often take shelter. The reflection make this image what it is. I work with specialized printing agency who deals with limited edition printing. They print and ship the individual pieces of wall art for me. And if you like you can also get the images framed by them.